Menopause is not one thing, it is an ever changing journey and that means symptoms are not constant but why is it happening to you? What Is Pre/Perimenopause All About? We speak about the menopause as if it is a fixed thing, but in reality it is anything but. Not only does each woman experience it differently both in terms of actual symptoms and their severity but over time those symptoms may lessen, worsen, or change into something entirely new. We all know that at menopause the levels of oestrogen and progesterone start to drop and something many women notice is that their periods can be closer together or get longer or heavier. This is really common and due to the way that your hormonal balance is starting to change. At this point, your progesterone levels will be falling faster than your oestrogen, so your oestrogen just keeps triggering a menstruation and a bleed, particularly if you are very oestrogen dominant. Hormones don’t stand still, they respond to the internal stimulus from our ovaries, but also to the external stimulus of stress, medications and environmental factors. That is why however well you may be taking care of yourself, not all factors are able to be under your control and your body cleverly prioritises what is the main thing to deal with. Unfortunately it is your body that decides, not you, so if you are dealing with illness, stress or infection the body diverts its resources to dealing with those. That is why hormones seem to be changing and unfortunately for your body flushes and weight gain are not always the top priority! Your hormones are dependent for healthy functioning on your nervous system and so when stressed or ill your menopausal symptoms can suddenly get worse. You are going to be aware of when your symptoms are changing, but can you identify which if these key factors is causing this to happen? Once you know what is happening you can take steps eliminate or reduce that trigger. 1. Oestrogen dominance and hormone imbalance is the main reason many women start to see changes in their symptoms. Check what your oestrogen load may be from sources such as Pill/Coil/HRT as well as looking at how many symptoms of oestrogen dominance you may have. What Signs of Oestrogen Dominance Do You Have? 2. Stress is something none of us can avoid. It is not the stress that is the problem, but how well we deal with it. Once your stress levels rise, for whatever reason, dealing with it becomes a priority for the body because of the damage long-term stress can do to our health. Just worrying about having a hot flush or sweat in public is guaranteed to have you anxious, and raise your stress levels so knowing how to reduce that will make a huge difference. 3. Sleep disturbance affects your health on so many levels and unfortunately at menopause night sweats can be one of the main things keeping you awake. Progesterone helps to relax you and so can help with sleep problems but there are other things too that can make a difference. 4. Weight gain seems to follow at menopause for most women, but the more fat you have around the middle then the more oestrogen you are producing, so again this can put you out of balance. You may not have changed your diet at menopause but this could be the ideal opportunity to start a healthier regime to help with weight loss. Even just a few extra pounds can make a difference to your energy levels, another common symptom at menopause, especially if those pounds are coming from too much sugar and processed foods. 5. 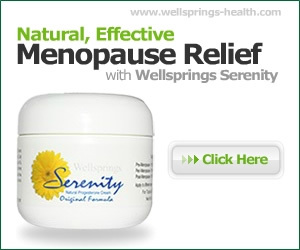 Lifestyle most of us start to notice physical changes at menopause such as increased joint pains and dryer skin. Generally we are not as active as when we were younger and this really makes a difference to how well you transition menopause so if you have stopped being as active this could be the time to make some small, pleasurable changes to your daily routine. 6. Infections or allergies are not something we think of in terms of affecting our hormonal symptoms, but whether its a common cold or even a food intolerance it will make a difference. Many women notice an increase in bladder and urinary infections and if on a course of antibiotics these too will affect your hormone balance. Keeping your immune system strong is the best first defence and Echinacea has been proven helpful in boosting immune levels. All these factors are within your control to a greater or lesser degree so it can really help to keep a journal of what is happening when your symptoms suddenly worsen. Were you very stressed that day, had an argument or missed the train? Did you have more coffee or alcohol than usual and perhaps a disturbed or sleepless night? All of these will impact your hormones to try to identify what is a specific trigger for you and take whatever action you can manage to get it more under control.Menopause is not one thing, it is an ever changing journey and that means symptoms are not constant but why is it happening to you?